Have you ever wanted to create an eye-catching testimonial page celebrating positive customer feedback? Perhaps you want a simple welcome message alerting your site visitors to something important. Or maybe you need a biographical about section in your footer so visitors and potential customers know how to get in touch with you. If so, these free WordPress are for you. They are simple, easy to use and like all widgets, they can be moved around into any widgetized region. No coding required! The GPP About You Widget adds a widget for easily creating an about you section to any widgetized region in your theme. On the widget page, you can add your name, your photo, a brief bio, an email address, a phone number and a web link. The GPP Testimonials Widget is for creating attention-grabbing customer testimonials. You can use shortcode to add testimonials to Posts and Pages or you can add testimonials using widgets. The GPP Welcome Message Widget allows you to create a large welcome message in any widgetized region of your theme. One of the most common requests we receive from our users is the ability to mix-and-match design features from one theme into another theme. HTML and CSS might not be their thing, and so, they need a solution that doesn’t require editing theme code. This is where these plugins help out. When possible, we are divorcing features ordinarily packaged as theme options and repackaging them as plugins so users can mix-and-match design features. Combine any of the plugins above with our Base theme framework, our Base Hook Widgets plugin and the Widget Logic plugin and you will have a seriously flexible system. How? Our Base Hook Widgets plugin adds 12 widgetized regions to our Base theme framework. The Widget Logic plugin will enables you to show specific widgets on specific Pages or Posts. For example, you could configure your widgets to show a specific testimonial on your contact page. Or, you could show a welcome message on, say, your portfolio page that further explains your work. The possibilities are endless. How do I add custom styling to these widgets? We have CSS examples posted on the plugin release pages linked to above. Dust off those CSS skills and get busy! Are these plugins suitable for use with the Pro account? Yes! Simply visit your Plugins -> Add New page in WordPress and search for the term “graphpaperpress”. Do these plugins work with sites integrated with PhotoShelter? Yes! But it’s important to remember that PhotoShelter templates only show the header (logo and menu) and footer (copyright and credits section) of themes supported by integration. This means that the testimonials, about and welcome sections will not show up in your PhotoShelter templates when using automated integration. Gallery Slideshow – All themes can now have our popular slideshow from Photo Workshop on any Post, Page or Widgetized area. 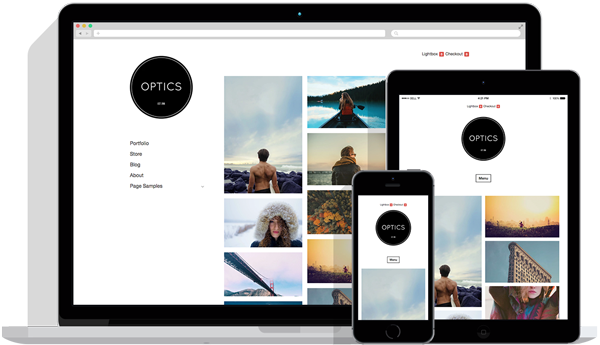 Workshops – Many users requested the ability to have the Workshop pages from our Photo Workshop theme. They also requested the ability to change the title “workshop” to something of their choosing. The Workshops plugin makes this all possible. Your needs help determine what we develop next, so, we want to hear from you! What feature would you like to see implemented as a plugin? We would love to see these plugins in the wild, so please post a link to your site in the comments below if you use these plugins. This entry was posted in Announcements, Blog and tagged Plugins. Bookmark the permalink. Ah, fixed now. It was a permalinks/caching issue. Thanks for the tip! Very good news, I am looking forward to this. Is there a chance that the gallery plugin will have the option to place the navigation buttons and optional thumbnails _below_ the main image? There isn’t an option, per say, but it can be accomplished with CSS. Any ETA on the “Gallery Slideshow” plugin? It depends on functionality only found in WordPress 3.1. So, as soon as WP 3.1 is released, we’ll release the Gallery Slideshow plugin shortly thereafter. Looks like some great things in store for the 3.1 launch, I have put my own site redevelopment on hold so I can build it on base. I’ve seen nothing about Post-Slider support for base. Are you considering porting this also? Yep, it’s already under development. Plus, it’s going to be much more flexible than before, with more options.